Every so often, it would be pleasant to see landscapes, mountains, buildings and seas from above. Aerial trips via private charters are quite fun, plus you can even take quick breathers as you rush-fly for a meeting across town. For these activities, you have the Piper PA31T Cheyenne I/II to rely on. This small propeller powered jet can seat up to 7 individuals, plus its interiors are constantly updated to accommodate the needs of its passengers. 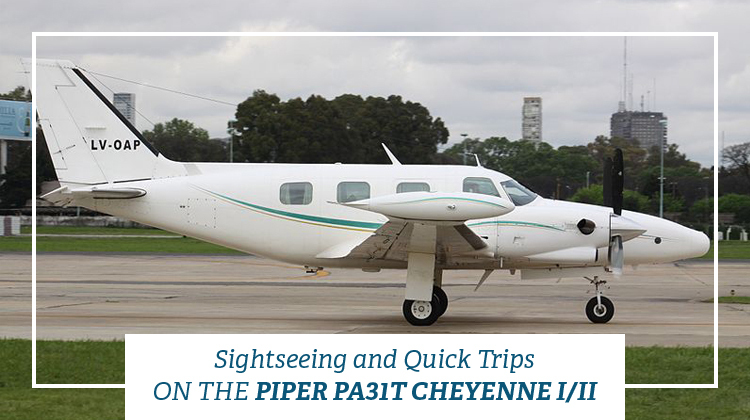 The Piper PA31T Cheyenne I/II is also agile, as it can fly from and to smaller airports. If you’re coming from Ontario, Canada, you can reach as far as Cancun, Mexico while aboard this plane. This aircraft is also ideal for weekend getaways to the hinterlands, wine valleys or beaches. To further enjoy your 1 to 2 hour ride, it’s advisable to request of more details about the plane’s facilities. These include tables for snacks, luggage compartments and other passenger seat features. The Piper PA31T Cheyenne I/II’s ceiling or maximum altitude can be high for a short range plane, hence its cabins were pressurized to ensure passenger comfort. Some travelers may opt to bring their own snacks throughout the trip. If you’re planning to do the same, it’s just practical to confirm what can be brought with your chartered operator. WiFi might be an option, and this can be particularly useful for those flying for business purposes. They can prepare their presentation pieces or other documents so they’ll be ready for meetings upon landing. When flying on this plane, did you know you can reach up to 29,000 feet within just 10 minutes? This is how fast the aircraft can get hence you can rely on it, especially when you’re in a hurry for a meeting. The Piper PA31T Cheyenne I/II also has 2,500 kilometers’ worth of range so you may expect to reach regional and international destinations when chartering for it. In reference to your intended destination, it would also be advisable to confirm the number of passengers who’ll be riding with you. You must also take note of your allowable luggage weight with your chartered operator. This way, he or she may plan for better routes and schedules as part of your flight plan. Keep in mind, a lighter plane can make you reach farther destinations at much faster paces. Since its introduction during 1969, there are a total of 823 Piper PA31T Cheyenne I/II units being used and flown throughout the world. 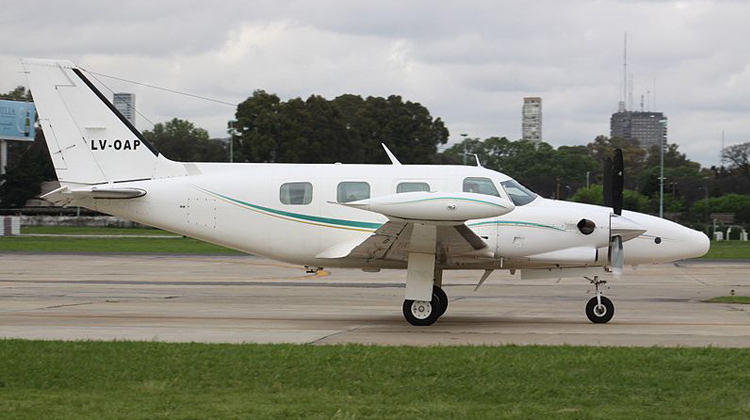 This aircraft is an improvement of the Piper PA-31 Navajo with a bigger fuselage. The plane also has other variants to meet their specific applications and their upgrades mainly focused on engines. Variations of Pratt & Whitney Canada engines were fitted with PA-31T-1 and PA-31T2 Cheyenne IIXL aircrafts.